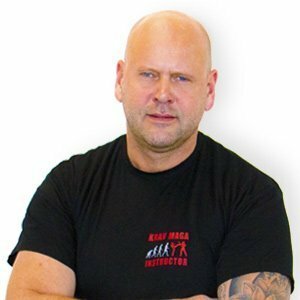 After 25 years of professional training and classic martial arts training, my motto is still: Keeping the mind open, developing and never halting your own process. Never specialized in a specific style, I have always tried to get the best out of everything for myself and pass on. So I came to the Krav Maga and was instantly thrilled. Here you do not pay attention that something looks beautiful, but that it is effective. It was a foundation that was always close to my heart. A system that is suitable for everyone and all ages due to its simplicity and effectiveness. This is where no bats are being trained, but people who are trying to protect themselves against attacks and the constant increase in the level of violence in society are also trained here. They are also looking at the whole as a preventive measure and increase their own civil courage … just like me!